When you purchase a Husqvarna K760 Disc Cutter (Applicable to standard K 760 version and OilGuard version, excludes Cut n Break machine) between the 1st of August and the 1st of October 2015 you are entitled to receive the free Husqvarna summer kit, this contains Gloves, Cap and Tinted Glasses. 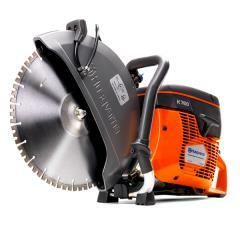 Step 1: Purchase a Husqvarna K760 between specified dates, We will include your free summer kit in delivery. After completing all of these steps your freebies should be on their way.